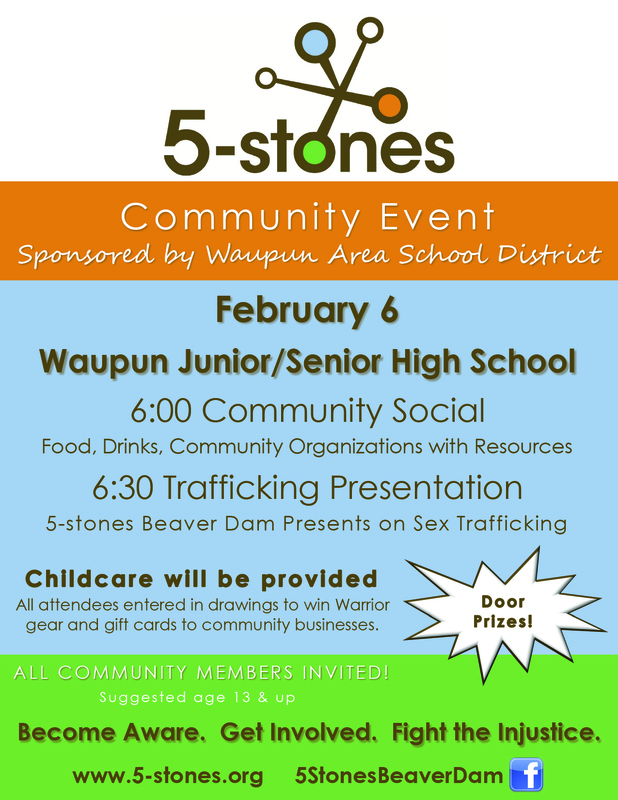 5-stones Community Event sponsored by Waupun Area School District. Wednesday, February 6th, there will be a Community Social at 6:00pm and a Trafficking Presentation at 6:30pm at the Waupun Area Jr/Sr High School. Childcare will be provided and all community members, 13 and older are invited to attend. All attendees will be entered into drawings for Warrior gear and community business gift cards.